Lower back pain is a common ailment. Try these physical therapist-recommended stretches right at your desk chair to help. When NFL hopefuls go through drills in the NFL Combine, millions of dollars are on the line but these drills can help you, too, as you chart your athletic progress or as your PT decides if you're ready to get back to activity after an injury. It’s common to see runners and other athletes prepare for training by quickly touching their toes or stretching their quads. But how long should you really be holding a stretch? 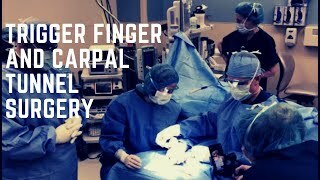 Commonly caused by repetitive motion, carpal tunnel syndrome treatment can start with non-operative options. We know to warm up and strengthen the muscles before a workout, but we should be doing the same for our bodies as we prepare for a work day. 11 ways to participate in Tuckfest, a celebration of adventure sports, craft beer, and live music. Charlotte's adventure racing scene includes everything from family-friendly races to punishing distance events for seasoned race veterans. Work can be a pain. Whether in a car or at a desk, we know sitting can cause our bodies pain and discomfort. Should Your Exercise Ball Double as Your Desk Chair? Here’s the Truth. We know we shouldn’t sit all day, but most of us have to make a living, which in many cases means we’re stuck at a desk – and in a chair – most of the day. The medical knowledge gleaned from the NFL Combine (which itself was started by physicians) will inform the draft. Running in the winter can be an exhilarating challenge. But it also presents unique challenges and can add a higher risk for injuries. We’ve been told over and over that sitting too much is highly detrimental to your health. The reality is that many of us have to sit at a desk for much of the day. But does the fact that too much sitting is bad mean that investing in a standing desk is the best solution? Activities and professions that require a lot of sitting can also result in a lot of pain. At the end of your day, try these stretches to get those sore muscles moving. It’s not as well-known as its companion muscle the gluteus maximus, but the gluteus medius has an important job: to stabilize the pelvis and hips. Here's what to know about sitting. In seventh grade, she almost got cut from the basketball team, but Dr. Julie Woodside’s future held an NCAA basketball career where she learned the focus that propelled her into orthopedic surgery. Whether you work from home or in an office, there are proper ways to set up a workstation that encourages comfort and efficiency. Life making it hard to get to the gym? Here's a list of resources that provide free workouts.